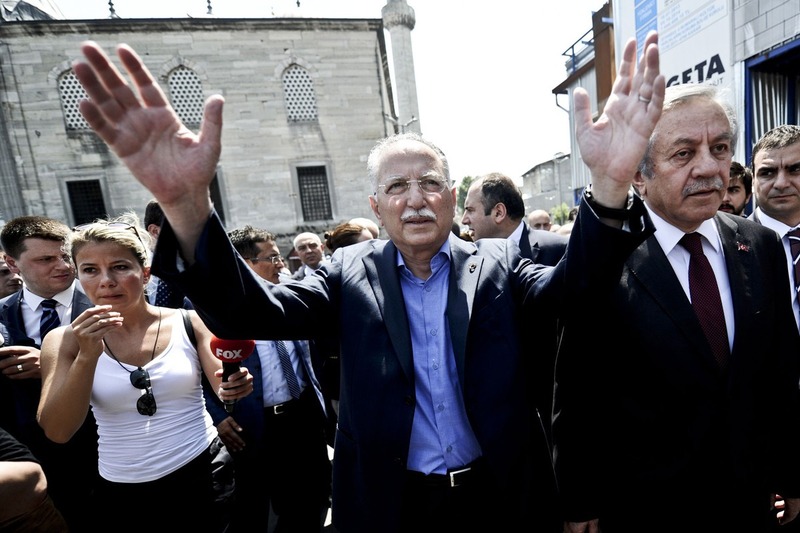 Unveiling Ekmeleddin İhsanoğlu as a joint candidate for president was perhaps the best salvo Turkey’s embattled opposition could have mustered. They were, after all, up against the bullish Recep Tayyip Erdoğan. A diplomat and scholar who has never dabbled in politics, Mr İhsanoğlu’s mild manner immediately made him the prime minister’s polar opposite. The immediate reaction to his nomination was shock – shock that Ataturk’s secular Republican People’s Party (CHP) could unveil such an openly religious man. Some were confident that his message of unity could attract voters away from the divisive prime minister. But these soon gave way – sadly – to boredom. The problem with nominating a non-politician is that you can get someone who doesn’t really inspire. This website wrote when Mr İhsanoğlu’s candidacy was announced that victory for him would not be winning, but forcing this election to a second round of voting. It also said his greatest challenge was going to be persuading supporters of the parties that nominated him to come out and vote. Opposition voter apathy is a significant factor in an election that just about everyone believes Mr Erdoğan has in the bag. Polling indicates Mr İhsanoğlu hasn’t done too badly: recognition of his name among CHP voters, for example, is well over the 80 percent mark, an astonishing trajectory when you consider barely 1 in 5 knew who he was at the beginning of June. But recognition doesn’t mean engagement, and it looks like too many CHP voters will be staying at home tomorrow. With MHP supporters, the situation is worse. Figures last from Metropoll, a pollster, found 10 percent of them were going to support Mr Erdoğan instead. The eventual number could be higher. And Mr İhsanoğlu failed to win the support of the pious Felicity Party (Saadet), depriving him of a key conservative constituency. What is more, the alliance of thirteen parties backing Mr İhsanoğlu is less effective than it appears. Certainly, the CHP and MHP’s decision to jointly nominate a candidate – any candidate – was a rare and impressive example of opposition working together. But the majority of parties that have scrambled behind that candidate are tiny outfits, and many were only established this year. 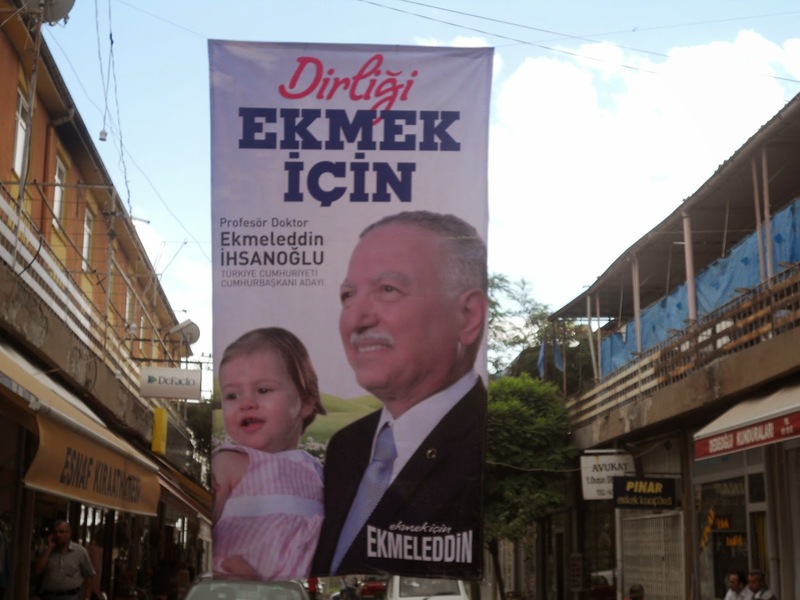 In a country of 50 million voters, just three pro-Ekmeleddin have membership over 100,000. By comparison, Mr Erdoğan’s AK Party boasts 8,698,551 members. It hasn’t helped his cause that Mr İhsanoğlu had to spend a large part of his short campaign defending himself from personal attacks by the Erdoğan machine. The prime minister has taken to calling Mr İhsanoğlu mon cher, a disparaging Turkish phrase distorted from the French that is used to describe people who exhibit Western affectations. Mr Erdoğan’s implication is clear: Ekmeleddin İhsanoğlu is elitist and not one of us. It has gone down well with the Erdoğan voter base, particularly when Mr İhsanoğlu told reporters – incorrectly – that the lines from the national inscribed on a military memoral in Edirne, northwest Turkey, were lines from another poem by the same poet. “This mon cher doesn’t even recognise his own national anthem,” Mr Erdoğan jeered. All this has distracted from Mr İhsanoğlu’s message of unity. His platform is not too different from that of this election’s third candidate, Selahattin Demirtaş. But as an ineffective communicator, he was drowned out by the Erdoğan machine. He won’t win, of course. And we probably won’t see him again in Turkish politics after this election. The highbrow Mr İhsanoğlu represents Turkey’s tired old politics of the 1990s – or, to put it another way, everything the populist Recep Tayyip Erdoğan stands against. But he was nominated through compromise and this example could represent Turkey’s new politics. The belated prospect of opposition parties working together is the hope he brings for his country’s future.